Keeping the costs down can make you a lot calmer, especially whilst thinking about how you can boost your revenue. 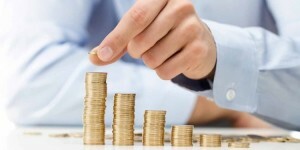 Every small business owner is concerned about their cash flow. At times, this could mean not paying yourself enough what you really deserve or cutting corners where you ideally should not. However, one can bet that almost every business owner out there has been leaving hundreds or even thousands of pounds on the table every month by not taking up the benefit of some of the simplest money-saving hacks. This of course, does not mean downsizing, instead it is about paying less for things you cannot live without. I have discussed some of the classic mistakes with numerous entrepreneurs whom I know recently, the ones who have learned a thing or two about assisting business owners to save money after having worked with hundreds of them. One of the biggest mistakes that every business owner makes is that they don’t really realise that they could possibly be saving thousands of pounds on a monthly basis if only they made use of the right programs, systems and cost optimisation tactics. Nevertheless, the real secret behind this is to make cost optimisation a part of the mindset. As a business owner you should never wait until you are in a cash flow crunch. A blunder that even an experienced business owner tends to make is putting off Profit and Loss (P&L) cleaning for weeks or even for months, especially after having incurred expenses on stuff like subscriptions – that is the money which you cannot get back and the one that adds up fast. Whenever and wherever it is possible for you, try working with larger businesses in order to swap the services or fix up a revenue sharing contract in exchange for piggybacking off their sales structure as well as operational assets. In this manner, you can simply save thousands of pounds every month without having to sacrifice the quality of your service. You can work with larger organisations in order to co-market your products and services, thereby elevating both of you. At times, things that were helpful in the previous quarter may not be that helpful in the present one. Yet, there are several small business owners who purchase products and services, which could hit their credit cards on a quarterly or even monthly basis. Do not set an expense optimisation and simply forget about it. If you do so, then you could perhaps find that your business is bloated with those particular services that you barely make use of and it could over time, add up to the big bucks. It is quite obvious that you to clean your home regularly and then evaluate and throw away things that just aren’t neccissary. The same goes for your business, you must perform expense optimisation at least on a quarterly basis, in order to save some cash. Joining several group purchasing or collective buying groups must be made a part of every business owner’s “to-do” list. These groups offer exclusive rates, discounts and deals on everything, right from business travel to office supplies and hardware, which you cannot go without. Rather than investing your money in some enterprise software, look out for something that is easy on your pocket in order to meet all your technology needs. Also, rather than shelling out thousands every month for an office space whilst you are still on the verge of expanding the business, consider co-working. Bear in mind, you should always evaluate the expense of any new purchase in the short as well as long term. This is simply because it is easier to test something out before you purchase it and ensure that it’s working; instead of getting stuck with worthless investment. Simply because certain business plan books tell you to purchase some kind of product or service, it does not necessarily mean that there aren’t new and creative players in the industry to bring down the expenses. Insurance and HR could probably be the ideal example. For young companies, it would rather make better financial sense to outsource their HR needs to a “professional employer organisation” (PEO) than to look out for some traditional insurer. Gift cards are often considered as the best bang for your buck through reward points. So, rather than using those points for any kind of physical purchase, you could probably buy gift cards and use them to offset your business’s expenses, such as office supplies or employee gifts. 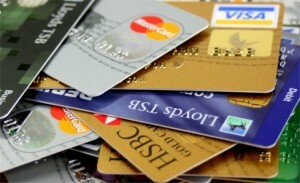 If you are not certain, then simply calculate the actual ratio on the credit cards you use and go from there. You can even save thousands of pounds when travelling with these reward points. There will be only a few vendors who would say no to money once the product is delivered; whilst most of them would offer early payment discounts for your difficulty, only if you ask them. You can talk to your vendors, renegotiate your payment terms and maybe ask them whether they’d be open to offer you a discount. There are certain online payment companies, who offer discount to the invoices that are paid early. In this way, you will not just save thousands of pounds per year, but also help you to be in great terms with your vendor. If you’re likely to run unpaid balances on the credit cards by the end of the month, then you could shop for a card that offers you a low interest rate. But if you’re paying in full, then it is imperative to make sure that you’re avoiding the annual fee and are looking for a longer grace period. Often most of the credit card lenders reduce the interest rate or waive the annual fee if asked to do so. You simply need to tell your lender that you received several solicitations from other providers offering no annual fee or a more favourable interest rate, and ask whether they’ll reduce yours. If the suppliers are nearby, then try picking up the order yourself or perhaps ask someone to do it for yourself. For instance, if someone stays near your supplier, then you can ask them to pick up your stuff and deliver it to you. That way, you can save up on additional shipping charges. However, you need to make sure that you’re picking up the supplies by yourself only when it is truly saving you money. If it is taking away any kind of revenue procuring activity, then you aren’t really saving. If you’re giving your client credit, then it’s imperative to thoroughly check their credit background. For less than creditworthy accounts, it is better to consider the following actions. Firstly, collect money from them well in advance; send them partial shipments, request for a letter of credit, pledge of assets and personal guarantees; lastly take out credit insurance or think about factoring. Often, there are times when you have to provide your clients with longer credit terms than what you actually receive from suppliers, and cash flow issues are then exacerbated when the payments are not made on time. This could in turn leave you unable to pay your suppliers or staff. If you’re affected by this, then are several options available to bridge the gap and one which is opting for invoice finance. This is one of the best products offered by business fund providers, which are not just an ideal solution to fix your cash flow problems, but also help you in saving your money. Always ask your suppliers if they could give you discounts for early payments. If not, then it is to your benefit to make bill payments; including taxes, utilities and suppliers, as late as possible and try avoiding incurring a fee. This is simply because the longer the funds are under your control; the longer they are earning a return for you instead of someone else.